FOLLOW THE TRUE STORY OF THE ILLINOIS STATE POLICE'S FIRST FEMALE CRIME SCENE INVESTIGATOR. Unapologetically honest and unflinchingly emotional, CSI Old School follows the true story of the Illinois state police's first female crime scene investigator. In a time before DNA analysis and automated fingerprint identification databases, crime scene investigators had to rely on their own cunning with minimum help from technology. 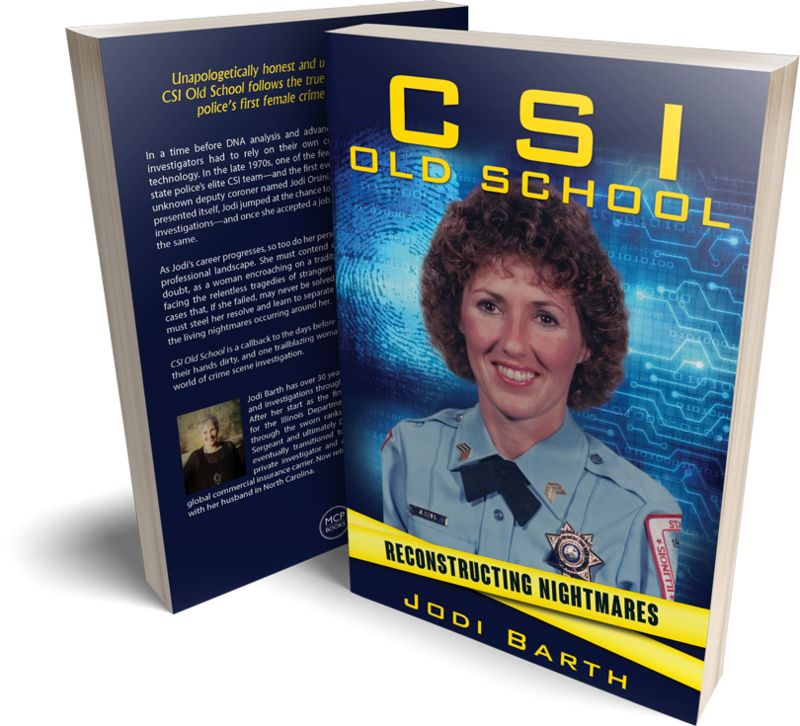 In the late 1970s, one of the few who made the cut into the Illinois state police's elite CSI team and the first ever woman to boot was a relatively unknown deputy coroner named Jodi Orsini. When the opportunity of a lifetime presented itself, Jodi jumped at the chance to experience more than county death investigations and once she accepted a job with the CSI, her life would never be the same. As Jodi's career progresses, so too do her personal challenges in a quickly evolving professional landscape. She must contend daily with overcoming fears of self-doubt, as a woman encroaching on a traditionally male dominated field, while facing the relentless tragedies of strangers and the harrowing reality of some cases that, if she failed, may never be solved. If she is to survive in the field, Jodi must steel her resolve and learn to separate herself and her technical skills from the living nightmares occurring around her. CSI Old School is a callback to the days before the glamor, when investigators got their hands dirty, and one trailblazing woman's journey into the oftentimes dark world of crime scene investigation. THE GLAMOR, WHEN INVESTIGATORS GOT THEIR HANDS DIRTY.